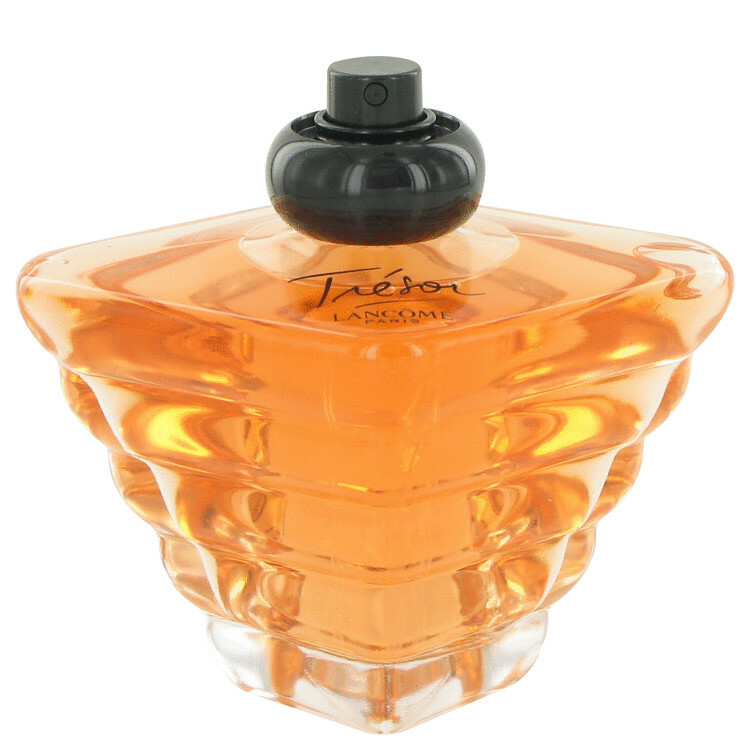 There are 73 reviews of Trésor (new). I have the eau de toilette version. It's a floral fruity thing on the top. The middle reveals a greenish lilac note and something akin to powder. A little more green as it settles down in the heart. The base, I smell sandalwood and vanilla. Tresor is wearable for me but, nothing extraordinary. A bitter fruit and flower opening that softens with time into something sweeter, powdery and attractive. Very “nice”, gentle. And good, all in all. This, I believe, is an extremely similar scent to Skintimate Shave Gel (the one in the pink can). It took me a minute to remember, but all of a sudden I was transported back to my youth when I was beginning to shave my legs and test out the waters of womanhood. It's a soft powdery floral (rose, jasmine) with a hint of peach. A tiny bit of sandalwood gives the warmth to allude to the end of Summer. I'm not normally fond of fragrances that have powder as a considerable portion, but this is really lovely. This is gorgeous. I bought it for my mother -we should all be tested on why do we all relate this fragrance to our mothers- five years ago and I grew fond of it; it was my grown-up aspiration. It's peaches and apricots, jasmine and roses, and vanilla and amber; a dreamy blend of sophisticated, sweet, and strong notes. Starts with golden radiance and unfolds beautifuly into a nice powdery scent. Lasts +12 hours on my skin and has reakky good sillage. I always get lots of compliments with Tresor. This one hits the "fun and flirty" cathegory of my wardrobe; daytime casual or evening event appropiate, ideal for warmer months. I feel dressed whenever I wear this one, whether I'm wearing a little black dress for a fancy dinner or jeans and blouse for an evening downtown. Rosy-fruity leatherette adorned with violets, muguet and fizz. From the Unique Elegance the Bottle design to the Long Lasting Amazing scent This Characteristic is only for some Brands Like DIOR,LANCOME,GUERLAIN and... while Some People only Like a Enjoyable scent Without spot It scents Lack of Character,Style and Class while These are Determinant factors for make a Personable and Everlasting fragrance. And TRESOR is One of those Everlasting Fragrances. The name definitely fits the product. A GORGEOUS CLASSIC fragrance. SOPHISTICATED and ROMANTIC at the same time. Heavy but not in a Cloying Way. Pineapple,Peach,Rose, Jasmine,Vanilla,Amber and Musk Creating an Elegant,Exotic and Exciting mix of scents. In other words Generous,Sweet, Ladylike ,Charming,Complex, Floral and Very LANCOME. Mysterious Warmer base notes make This the Fragrance of Choice for Smart Coquettes for AUTUMN,WINTER EVENINIGS. Perfect for the Lady who wants to be CLASS. This Supremely ROMANTIC and Seductive fragrance is presented in a Lovely bottle. However It gives me Headache but I still Love it. A Treasure Indeed. Longevity?Noticeable on my skin By EDP. 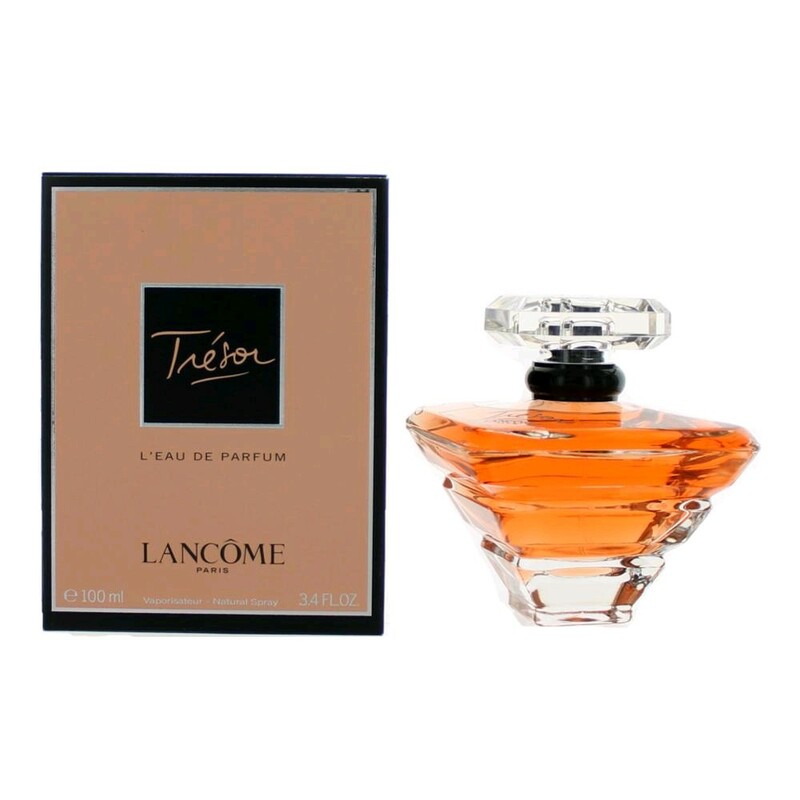 Lancome Tresor Eau de Parfum Spray 3.4 oz. 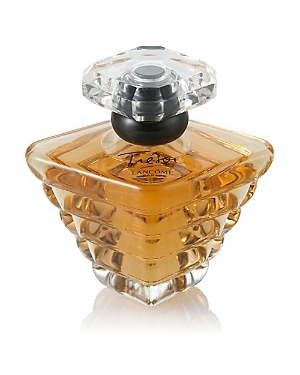 Tresor Eau De Parfume By Lancome For Woman~100Ml.